Jose Angel Araguz has had work most recently in Barrow Street, Gulf Coast, Slipstream, and Right Hand Pointing. His chapbook, The Wall, is published by Tiger's Eye Press. He is presently pursuing a PhD in Creative Writing at the University of Cincinnati. Daniel Bănulescu is one of Romania’s most notable authors today. His books of poetry include It’s Good to be Daniel Bănulescu (2010), a selection of his works from which this poem derives. Bănulescu was a recent guest at the Poetry International Festival Rotterdam. Jonathan Barrett works for a small community bank in Kansas City, Missouri. His poems have appeared or are forthcoming in numerous literary journals including American Literary Review, The Chattahoochee Review, Flyway, The Literary Review, The Minnesota Review, The North American Review, Notre Dame Review, Phoebe, Poet Lore, and Subtropics, among others. He is also the co-editor of a small literary journal called Cant. Dan Beachy-Quick is a poet, essayist, and novelist, author most recently of A Brighter Word Than Bright: Keats at Work and An Impenetrable Screen of Purest Sky. He is a Monfort Professor at Colorado State University, where he teaches in the MFA Writing Program. Ben Berman is the author of Strange Borderlands (Able Muse Press, 2013). He has received numerous honors from the New England Poetry Club and fellowships from the Massachusetts Cultural Council and Somerville Arts Council. He teaches in the Boston area and is the co-poetry editor at Solstice Literary Journal. Find more at ben-berman.com. Martha Carlson-Bradley is completing a collection of poems inspired by the 1727 edition of the New England Primer, which she researched as a fellow at the American Antiquarian Society. Her latest book, Sea Called Fruitfulness, was released in 2013. Charlie Clark’s poetry has appeared in Best New Poets 2011, Missouri Review, The Paris-American, Smartish Pace, Third Coast, West Branch, and other journals. He studied poetry at the University of Maryland and lives in Austin, Texas. Susan Cohen is the author of Throat Singing and recent poems in Hunger Mountain, Los Angeles Review, Southern Humanities Review, and Sou’wester. She won Harpur Palate’s 2013 Milton Kessler Prize and has an MFA from Pacific University. J.L. Conrad is the author of A Cartography of Birds (Louisiana State University Press). Her poems have appeared in Pleiades, Third Coast, Jellyfish, Mid-American Review, The Laurel Review and Forklift, Ohio, among others. She currently lives in Madison, Wisconsin. Wyn Cooper is the author of four books of poems, most recently Chaos is the New Calm (BOA Editions, 2010), and Postcards from the Interior (BOA Editions, 2005). His poems appear in more than 25 anthologies of contemporary poetry and more than 100 magazines. He has written song lyrics for Sheryl Crow, Madison Smartt Bell, and David Broza, among others. He works as a freelance editor of poetry, fiction, and non-fiction from his home in Vermont. Find more at wyncooper.com. Kay Cosgrove was the winner of the 2013 Writers Under 30 Contest from The Westchester Review. Her work has appeared or is forthcoming in Barrow Street, Conduit, and EPOCH Magazine, among other journals. She is currently a doctoral student in the University of Houston's Creative Writing & Literature program, where she serves as a poetry editor for Gulf Coast. Steven Cramer's fifth collection of poetry, Clangings, was published by Sarabande Books in 2012. Recipient of a 2014 Massachusetts Cultural Council Artists Fellowship, he directs the low-residency MFA creative writing program at Lesley University. Alice Elliott Dark is the author of the novel, Think of England, and two collections of short stories, In The Gloaming and Naked to the Waist. Her fiction and essays have appeared in, among others, The New Yorker, Harper’s, Best American Short Stories, Prize Stories: The O. Henry Awards, The New York Times, and many anthologies. She is an Assistant Professor at Rutgers-Newark. Carys Davies is a British short story writer. She was the winner of the UK's 2010 Society of Authors' Olive Cook Award and the 2011 Royal Society of Literature's V.S.Pritchett Prize. Her second collection of stories, The Redemption of Galen Pike, is out later this year. Find more at http://www.carys-davies.co.uk/. Recent work by Matthew Dulany can be found in the Georgetown Review, Hiram Poetry Review, and Confrontation. He lives in Maryland. Kim Farrar is a poet and essayist living in Astoria, New York. Her poetry has been published most recently in Alaska Quarterly Review, Chicago Quarterly Review, and Rhino. Her chapbook, The Familiar, was published by Finishing Line Press in 2011. Alan Feldman is the author of The Happy Genius, which won the annual Elliston Book Award for the best collection by a small, independent press in the United States; A Sail to Great Island, which won the Pollak Prize for Poetry, and Immortality, which won the Four Lakes Prize and is due out from University of Wisconsin Press in Spring 2015. His chapbook, Flowers in Wartime, has just been published as a fundraiser for children’s classes at Danforth/Art. Find more at http://alanfeldmanpoetry.com/. Laurie Filipelli lives in Austin, Texas, where she works as a writing coach. Her first book of poems, Elseplace, was released by Brooklyn Arts Press in 2013. Stephen Gibson is the author of five poetry collections: Rorschach Art Too (2014 Donald Justice Prize, West Chester University), Paradise (University of Arkansas), Frescoes (Lost Horse Press book prize), Masaccio’s Expulsion (MARGIE/Intuit House book prize), and Rorschach Art (Red Hen). Edith Goldenhar lives in Jackson Heights, New York. Her poems have appeared or are forthcoming in deComp, The Laurel Review, Mezzo Cammin, and Whiskey Island, and have been selected for performance by Emotive Fruition, a NYC theatre troupe. James Grabill’s poems have appeared in periodicals such as Caliban, The Chariton Review, Harvard Review, Terrain, Shenandoah, The Oxonian Review (UK), Stand (UK), and The Common Review. His books include An Indigo Scent after the Rain. He teaches "systems thinking" relative to sustainability. Pamela Greenberg’s translation of the psalms, The Complete Psalms: The Book of Prayer Songs in a New Translation, was published in 2010 by Bloomsbury. She has recently finished a memoir and is working on a collection of short stories. She has received residencies from the Millay Colony for the Arts and the Fine Arts Work Center in Provincetown. Virginia Heiserman has a BA in Literature from Bennington College. She has worked as an actor and as an editor at a major publishing house and is now a freelance editor and poet living in Woodstock, New York. This is her first publication. Lauren Hilger was named the 2012 Nadya Aisenberg Fellow from the MacDowell Colony. Her work has appeared or is forthcoming in Black Warrior Review, The Cortland Review, and Harvard Review Online, among other journals. She is a finalist for the DISQUIET International Literary Prize and serves as the Poetry Editor for No Tokens Journal. David Johnson was born in New England and lives in the Deep South. His poems have appeared in several publications, including Still, Stirring, and The Bitter Oleander. He is currently a PhD candidate in creative writing at the Center for Writers at the University of Southern Mississippi. Joey Kingsley is an instructor at the University of Mary Washington. She received her MFA in creative writing from Virginia Commonwealth University in 2012. Her poems have appeared or are forthcoming in The Jet Fuel Review and Unsplendid. She lives in Richmond, Virginia. Jacqueline Kolosov's third poetry collection is Memory of Blue (Salmon, February 2014). She writes fiction and nonfiction as well as poetry and has recently published work in The Southern Review, Fifth Wednesday, and Bellevue Literary Review. She is co-editing Family Resemblance: An Anthology and Investigation of 8 Hybrid Literary Genres, forthcoming from Rose Metal in Fall 2015. Jacqueline is on the creative writing faculty at Texas Tech. Brandon Krieg is the author of the poetry collection Invasives (New Rivers Press, 2014) and the chapbook Source to Mouth (New Michigan Press). He lives in Kalamazoo, Michigan. Aviya Kushner’s first book, The Grammar of God, is forthcoming from Spiegel & Grau/ Random House. Her poems have appeared nationally and internationally, in Harvard Review, Literary Imagination, The Jerusalem Post, Poetry International, and Salamander, among others. She has been nominated for a Pushcart Prize in poetry, and teaches at Columbia College Chicago. Moira Linehan’s forthcoming collection, Incarnate Grace, is due out in Spring 2015 from Southern Illinois University Press, publisher of her earlier collection, If No Moon. “Balling Yarn” will appear there. She lives in Winchester, Massachusetts. Tim Mayo’s poems and reviews have appeared (or will soon appear) in Narrative Magazine, Poetry International, Poet Lore, River Styx, Tar River Poetry, Web Del Sol Review, Verse Daily, Verse Wisconsin and The Writer’s Almanac, among others. His collection The Kingdom of Possibilities was published by Mayapple Press in 2009. He has been nominated four times for a Pushcart Prize and was a top finalist for the Paumanok Award. Leslie McGrath’s interviews with poets appear regularly in The Writer’s Chronicle. Winner of the 2004 Pablo Neruda Prize for poetry, she is the author of Opulent Hunger, Opulent Rage (2009), a poetry collection, and Out From the Pleiades: a novella in verse (Jaded Ibis Press, forthcoming). Her poems have appeared in The Awl, Agni, The Common, Slate, and elsewhere. She teaches creative writing and literature at Central Connecticut State University, and is editor of The Tenth Gate, a new poetry imprint of The Word Works press. Kathleen McGookey is the author of Whatever Shines and October Again, and the translator of French poet Georges Godeau’s book We’ll See. Her chapbook Mended and her book At the Zoo are forthcoming. Christopher Merrill’s recent books include Boat (poetry), Necessities (prose poems), and The Tree of the Doves: Ceremony, Expedition, War (nonfiction). He directs the International Writing Program at the University of Iowa. Find more at http://www.christophermerrillbooks.com/. Andrea Moorhead was born in Buffalo, New York, in 1947. Editor of Osiris and translator of contemporary Francophone poetry, her most recent collection is Géocide (Le Noroît 2013). Translations include Dark Menagerie (Guernica Editions 2014; Élise Turcotte). Cindy Hunter Morgan teaches creative writing at Michigan State University and is the author of two chapbooks. Her poems have appeared in a variety of journals, including West Branch, Bateau, and Sugar House Review. She lives in East Lansing, Michigan. Find more at cindyhuntermorgan.com. Matt Morton was a 2013 Finalist for a Ruth Lilly Fellowship and a Finalist in Narrative’s 30 Below Contest. His poems appear or are forthcoming in West Branch, The Cincinnati Review, Colorado Review, New Ohio Review, and 32 Poems, among others. Art Nahill is an American physician/poet currently living in New Zealand. He has had work published or forthcoming on both sides of the Pacific including Poetry, Harvard Review, Rattle, Tar River Poetry and Poetry New Zealand. He writes a poetry blog called “Two Hemispheres Poetry” and his first book-length collection, entitled A Long Commute Home, has recently been published in New Zealand (and in ebook format). Joe Neal is pursuing an MFA in fiction at Cornell University. He is currently working on a collection of short stories and a novel. This is his first print publication. TaraShea Nesbit is the author of The Wives of Los Alamos, which is a Spring 2014 Indies Choice Debut Novel Pick and a Barnes & Noble Discover Great New Writers Selection. Her writing has been featured in The Iowa Review, Quarterly West, The Collagist, Hayden’s Ferry Review, and is forthcoming on NPR and in Necessary Fiction. She teaches at the University of Denver and is the nonfiction editor of Better: Culture & Lit. Gwenn A. Nusbaum, psychoanalyst, has received a Gradiva Award Nomination, a Pushcart nomination and a Pushcart honorary mention for her poetry, which has appeared in several journals including Schuylkill Valley Journal, Rattle, Louisville Review, Passager and Confrontation. Her poetry chapbook, NORMAL WAR, can be purchased on her website. Christina Olson is the author of Before I Came Home Naked, a book of poems. Her poetry and nonfiction has appeared in magazines and journals including The Southern Review, Brevity, River Styx, Gulf Coast, Passages North, The Normal School, Hayden’s Ferry Review, and The Best Creative Nonfiction, Volume 3. She is the poetry editor of Midwestern Gothic, teaches at Georgia Southern University, and lives in Georgia. Find more at thedrevlow-olsonshow.com. Fani Papageorgiou’s book When You Said No, Did You Mean Never? (Shearsman Press, UK, 2013) won the Hong Kong Poetry Prize, judged by Ha Jin. Her second book, We Won’t Talk about Nora, will be published in the US in 2014. Her poems have appeared in more than forty magazines and literary journals in the US and the UK. Beth Woodcome Platow has published poems in Ploughshares, AGNI, and Gulf Coast, among other journals. She received the Grolier Prize, the PEN/New England Discovery Award, and the Beyond Baroque Poetry Prize. She holds an MFA from Bennington College, teaches at Berklee College of Music, and lives in Newburyport, Massachusetts. Marsha Pomerantz is the author of The Illustrated Edge (Biblioasis, 2011). 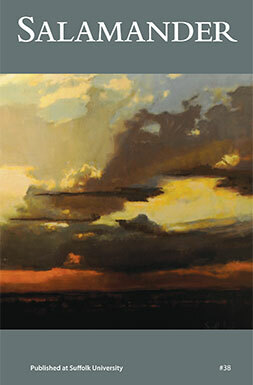 Other recent poems can be read at raritanquarterly.rutgers.edu (Fall 2013). She was the recipient of a 2012 Massachusetts Cultural Council Artist Fellowship in Poetry. Colin Pope’s poetry has appeared in Slate, Best New Poets, and The Los Angeles Review, among others. He is the recipient of residencies from the Vermont Studio Center and Gemini Ink, and he currently teaches in the English Department at Texas State University. Dian Duchin Reed is the author of Medusa Discovers Styling Gel (Finishing Line Press, 2009). Recent poems appear in TriQuarterly, Spillway, and Poet Lore. She has been the recipient of a Sundberg Family grant for literary criticism, the Mel Tuohey Award for writing excellence, and the Mary Lonnberg Smith Award in Poetry. A recent Stegner Fellow at Stanford University, Mira Rosenthal is the author of the prize winning collection The Local World. She has received numerous awards for her poetry and translations, including fellowships from the NEA, the PEN American Center, and the MacDowell Colony. She also writes about poetry and translation for The Kenyon Review and the American Poetry Review. Her poems, translations, and essays have been published in many literary journals and anthologies, including Ploughshares, Harvard Review, Slate, PN Review, A Public Space, AGNI Online, and Mentor and Muse: Essays from Poets to Poets. She will be the Distinguished Visiting Writer at Cornell College next year. Find more at http://mirarosenthal.com/. Anna Ross is the author of If a Storm, winner of the Robert Dana-Anhinga Prize for Poetry. Her work has appeared in Barrow Street, Memorious, The Paris Review, The American Reader, Southern Poetry Review, and The Brooklyn Quarterly and received fellowships from the Squaw Valley Poetry Workshop, Sewanee Writers’ Conference, the Massachusetts Cultural Council, and Grub Street. She is a visiting poetry editor for Salamander Magazine and a poetry editor for Consequence Magazine. The Polish poet, essayist, and translator Tomasz Różycki was born in 1970 in Opole, Poland. He is the author of seven collections of poems and a long epic poem, Twelve Stations, for which he was awarded the Kościelski Prize, the most prestigious literary prize for Polish writers under forty. Różycki’s work has been translated into numerous languages. His Colonies, translated by Mira Rosenthal, was published by Zephyr Press in 2013. Among his awards are the Krzysztof Kamil Baczyński Prize, the Joseph Brodski Prize from Zeszyty Literackie, and two nominations for the Nike Prize, Poland’s most important literary award. He teaches at Opole University and lives in his native city with his wife and two children. Annie Rudy is an MFA candidate at Virginia Commonwealth University, where she was recently awarded the 2013 Catherine and Joan Byrne Poetry Prize. Her poetry has appeared in West Branch. Saudamini Siegrist was born in Montana and grew up in the West and Midwest. She earned a doctorate in English literature at NYU and a master’s in poetry at Columbia, and has taught at St. John’s University and at Fordham University. Her work has been nominated for a Pushcart Prize, and has appeared or is forthcoming in Forge, Free State Review, Studio One, The Worcester Review, Zone 3 and Al-Raida Journal. She currently lives in New York City. Adam J. Sorkin is an award-winning translator of contemporary Romanian poetry who completed more than fifty books of translation. He is a Distinguished Professor of English at Penn State Brandywine. Kim Stafford is the founding director of the Northwest Writing Institute at Lewis & Clark College, and the author of a dozen books of poetry and prose, most recently 100 Tricks Every Boy Can Do: How My Brother Disappeared and Legacy of Beginning: Poems in Bhutan. Jacob Strautmann is the Managing Director of Boston Playwrights' Theatre. His poetry has appeared in Appalachian Journal, The Boston Globe, Salamander, SPOKE, and Poetry Northeast. He is a guest poetry editor for this issue of Salamander. Adam Tavel received the 2010 Robert Frost Award and his chapbook Red Flag Up was recently published by Kattywompus Press. He is also the author of The Fawn Abyss (Salmon, forthcoming), and his recent poems appear in The Massachusetts Review, Quarterly West, Passages North, Southern Indiana Review, and Crab Orchard Review, among others. He is an associate professor of English at Wor-Wic Community College on Maryland’s Eastern Shore. Elaine Terranova is the author of six books of poems, most recently Dollhouse, which won the 2013 Off the Grid Press Poetry Award. She has new work coming out in The Cincinnati Review and Per Contra. She is the recent winner of a Pushcart Prize. Lidia Vianu is Professor of English at Bucharest University and Director of the Centre for the Translation and Interpretation of Contemporary Text. Her translation with Adam J. Sorkin of Marin Sorescu’s The Bridge won the 2005 Poetry Society (U.K.) Translation Prize. Lesley Wheeler’s poetry collections are The Receptionist and Other Tales, a Tiptree Award Honor Book; Heterotopia, winner of the Barrow Street Press Poetry Prize; and Heathen. Her poems and essays appear in Subtropics, Gettysburg Review, and Poetry. Wheeler is the Henry S. Fox Professor of English at Washington and Lee University in Lexington, Virginia. Amy Wright is the nonfiction editor of Zone 3 Press and the author of three chapbooks with her fourth soon to be released from Dancing Girl Press. Her work appears or is forthcoming in Kenyon Review, Brevity, Denver Quarterly, Bellingham Review, DIAGRAM, Drunken Boat, Quarterly West, Tupelo Quarterly, and Western Humanities Review. Changming Yuan, seven-time Pushcart nominee and author of Chansons of a Chinaman (2009) and Landscaping (2013), grew up in rural China, holds a PhD in English, and currently tutors in Vancouver, where he co-edits Poetry Pacific with Allen Qing Yuan. His poetry has appeared in Best Canadian Poetry, BestNewPoemsOnline, London Magazine, and Threepenny Review. Tracy Zeman's poems have appeared in Beloit Poetry Journal, jubilat, The Sonora Review and other journals. Her manuscript Empire of Grass has recently been a finalist in a number of first book contests. Tracy is the Poetry Editor at Quiddity: An International Literary Journal, and she works at the Illinois Audubon Society, a conservation organization founded in 1897. She lives in Springfield, Illinois, with her husband and daughter.